Home to world famous filmmaker Federico Fellini, Rimini also hosts the head offices of Farotti, a provider of essences, oils and fragrances for the cosmetics industry. Established in 1972 by entrepreneur Giuliano Farotti, the family business is still gaining ground today in Italy and overseas. «My sisters and I have been supporting our father Giuliano in managing our company for years, with increasing passion and devotion to what, today, looks more like a project of family life than like a real job». 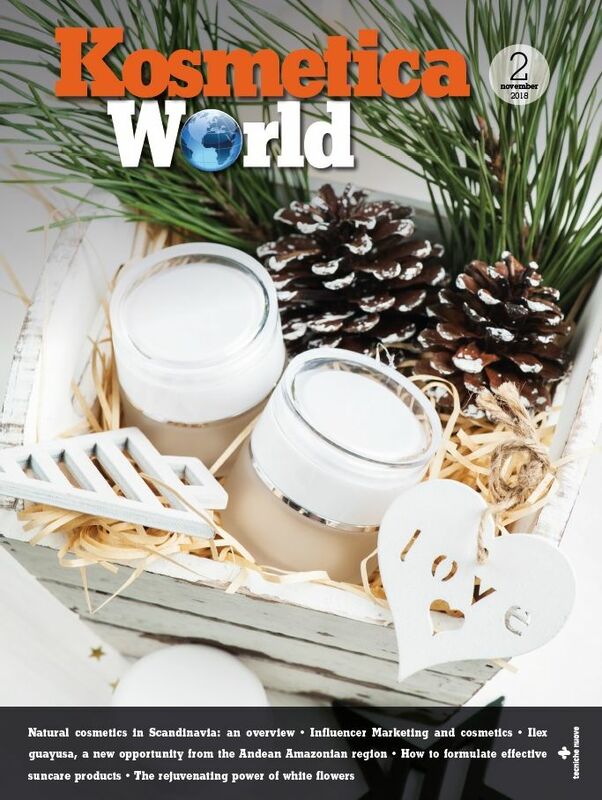 These were the very words with which Letizia Farotti, marketing and communications manager at Farotti, an Italian provider of essences and oils for the beauty and personal care industry, began her interview with KosWorld. 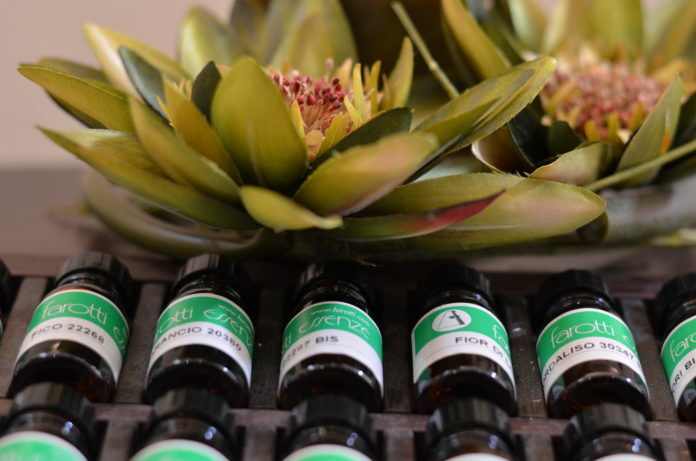 «And after all», Mrs. Farotti continued, «we grew up breathing the magic of essences since the day we were born, surrounded by alembics, essential oils, precious raw materials from every corner of the world. We would watch our father transform those materials into fragrant scents, that our eyes would look at as to some kind of mysterious and fascinating potion. 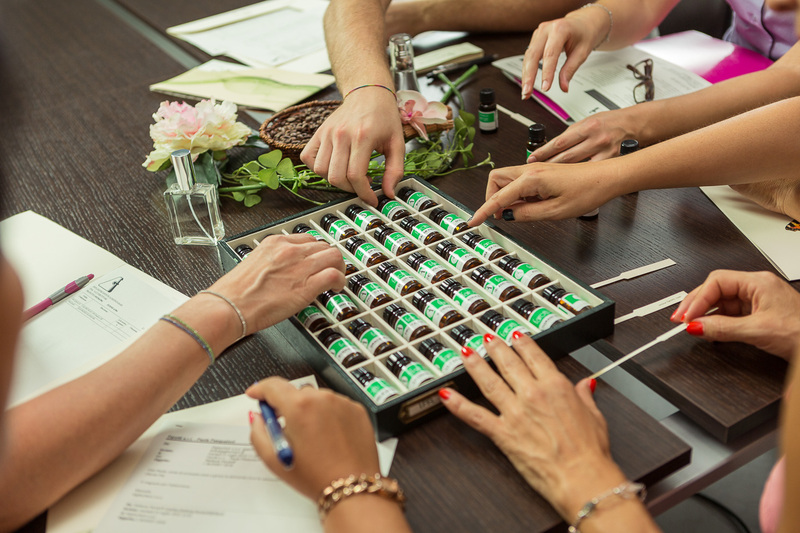 Not to fall in love with this world of perfumes would have been impossible: together with expertise, this feeling is the richest heritage we received from our father». On the market since 1972, the firm is now planning to introduce a number of new product lines, in order to fulfill the needs of a customer base that’s growing constantly both in Italy and worldwide. The Farott family: from the left Lara, Letizia and Daniela; in the middle their father Giuliano. How would you describe your company’s mission and prerogatives today, Mrs. Farotti? Our mission is to preserve the winning characteristics that always distinguished Farotti’s business throughout the years: quality, services, the ability to create a close collaboration relationship with our customers, by paying the highest attention possible to the so-called human factor and with the aim to provide customers with tailor made solutions. At the same time Farotti is evolving constantly in terms of technologies, strategies, research and development. What makes us different, I would say, is the fact that our activity is somehow positioned halfway between innovation and tradition: this one of the company’s major points of strength, and this is the kind of magic we want to deliver. How important is it, for your business, to partner up with universities and research centers? More than just important, it is a crucial aspect of our success. In 2015 we were awarded with the prestigious Premio cultura impresa thanks to the partnership agreements we signed with the University of Rimini, with which we cooperate on specific research projects. Farotti also allows young students and graduates to complete their training at its facility, with stages and hands-on professional experiences. This uninterrupted exchange of competences ensures benefits and advantages to both, us and these young people, who can learn here the secrets of our art, something they could not learn from books. And at the same time they bring us enthusiasms and new ideas. Last year one of these students was enrolled by the company; and we hope many more will follow. What are the most important regions for your business, in terms of revenue, outside Italy? Italy still generates 80% of our overall business but internationalization is Farotti’s most important goals, at the moment. Therefore, we aim to increase our global market share and today the most interesting markets are represented by such countries as Turkey, China, the United States, Spain and Poland. Especially, we have been gaining momentum in Turkey in the last two years, thanks to a local distributor that allowed us to consolidate our positioning on the national scenario. We are also achieving remarkable results in the United States, since our clients there also include such names as Revlon, for instance. Further opportunities came this year from the United Arab Emirates, whose potential of growth is immense. Our products received an encouraging response from local customers in a very short time and our expectation, today, is to increase our business in the area. What kind of criticalities does the beauty sector display now, and what kind of opportunities? Of course, many criticalities are due to the difficult economic situation we have been facing in recent times, as well as from the tightening regulatory framework. 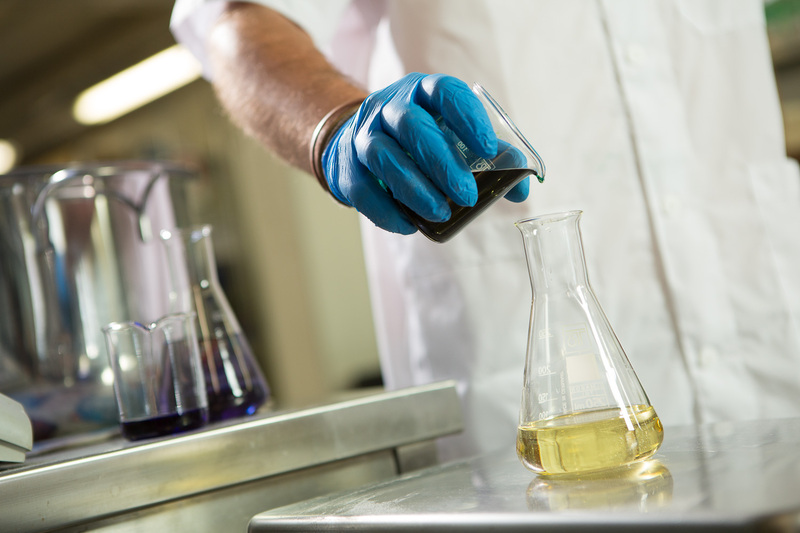 In recent times some of the ingredients that were commonly employed in the production of fragrances were banned and this brought us to pursue an innovative approach in developing new products, on the one hand, and on the other to reformulate some of the solutions we already had in our portfolio, by giving them a new look without changing the final result, both in terms of scent and in terms of effectiveness. The goals we have been achieving so far were absolutely satisfactory and this gave us new energy to carry on with the research, development and testing of new molecules and new technologies. As I said, passion is key and it allows us to tackle this kind of challenges by introducing new solutions. Are you planning to add new products to your portfolio? And what needs will they address? At Cosmoprof, the international exhibition that gives us the chance to introduce our novelties, we introduced the recently-developed Legni essenziali (Essential Woods) and Dolci Tentazioni (Sweet Temptations) product lines, of which we are very proud. But I would also mention such classic families as Ipa, exclusively including allergenic-free fragrances; the Ecolabel brand with its Ecolabel-compliant fragrances, in conformity with the European environmental quality standard. Furthermore, the Fragranze Natura products are exclusively based on natural essential oils, while Fragranze Biologiche is produced in accordance to the European ICEA certification standards. Health, well-being, environmental sustainability are among the issues consumers are more sensitive: the attention they pay to raw materials and formulations is growing and this is the reason why transparency and the traceability of all ingredients become a factor of success for our company. In addition to that, we are planning to acquire further certifications because the world of beauty and personal care is changing rapidly and we always have to be prepared to surf the wave of change. What other markets, besides cosmetics, are allowing Farotti to achieve the best results? Perfumery and cosmetics represent more than 70% of our overall business but our targets can change according to the market’s requests. For instance, the air freshener segment has been witnessing a significant growth and this is why this year we are introducing some interesting novelties in this product category. Also, we have been witnessing the growth of what we could call a new wave of cosmetics, characterized by a strong attention to environmental sustainability and by a well-aware utilization of raw materials, in order to preserve the consumers’ health and wellness. The cleansing sector is evolving too, with a growing need for quality that pushes us to strengthen our efforts in the research and development area, by selecting new and more sophisticated notes. This allows Farotti to enlarge its portfolio and to satisfy a growing number of needs, both in terms of products variety and in terms of prices, without ever giving up on quality, our real winner. «Our 22 people workforce forms a tight-knit team working in perfect synergy», as Letizia Farotti stated while describing the atmosphere at Farotti’s, a family business where personal relationships are just as important as they would be in a real family. «All of our employees know that they play a precious role and everyone here works with passion, enthusiastically heading towards a common goal», as Letizia Farotti observed, «and I believe this is one of our company’s points of strength». As for the future, Farotti is looking forward to add new employees to its workgroup, in accordance with the growth the company is confident to experience in the short-medium term. The essence, fragrances and essential oils provider is today investing in infrastructures, in order to enlarge its facilities and create some dedicated relax-areas where employees can enjoy some moments of well-being too, confident that wellness is also a crucial element for a company’s success on the market. Farotti strongly underlined the importance of always keeping updated about market and fashion trends by paying careful attention to feedbacks coming from customers worldwide and by cooperating, for instance, with industry associations. As for clients, it is essential for Farotti to create a relation of mutual trust with them, in order to better understand their needs and requests. Fragrances at Farotti’s are «tailor-made», as Letizia Farotti pointed out, «thanks to the investments in research and technological innovation we completed». The Rimini-based company is now renewing its look and is now ready to debut with a new image, mirroring its evolution, the milestones of its history, last but not least the energy it aims to create and unleash.